Published on February 9, 2019,	by admin in Uncategorized. Published on January 27, 2019,	by admin in Uncategorized. Published on August 20, 2012,	by admin in Uncategorized. Some shops count one technician school as certified. We are Bowtech, Hoyt, and Mathews Factory Certified. We are even a Horton Crossbow warranty repair center. We can handle any compound bow or crossbow problem you can throw at us! 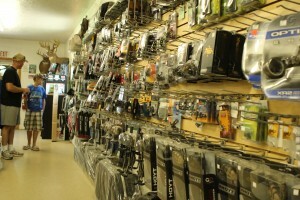 We have thousands of archery products for you to choose from. We stock most of the items our competitors have to order. And, even if we don’t have it on hand, we can get it fast. Published on July 24, 2012,	by admin in Uncategorized. Indoor leagues and open shooting all winter, 3-D and outdoor bags all summer and all the gear to get you in the woods this fall. Check back often for specials on your favorite gear, shoot results, and the latest in archery in Northwest Pennsylvania.